Thank you very much for visiting TheSovietWorld! Please ust this FIENBSPL code in a shopping cart for to have a discount for your first order! Hope you enjoy your staying at our shop! 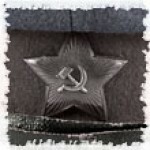 In this category you will find a large assortment of Soviet military hats, caps, winter hats "earflaps" summer caps "Pilotka" as well as many different badges for officers, generals 'and Soldiers' hats. 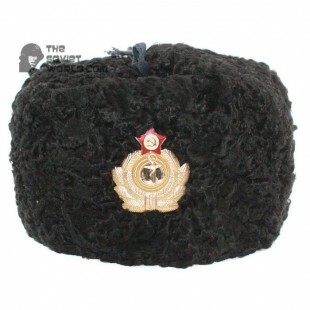 Ushanka hat was used as USSR Army headgear for many years and it is still widely used today. This hat is very popular as a Warm practical hat, made of thick gray natural wool cloth and original sheep fur. This product does not miss the cold and retains heat you will feel comfortable and warm under t..
Ushanka hat was used as USSR Army Soldier’s headgear for many years and it is still widely used today. This hat is very popular as a Warm practical hat, made of thick gray natural wool cloth and original sheep fur. This product does not miss the cold and retains heat you will feel comforta..
Ushanka hat was used as USSR Army Officer’s headgear for many years and it is still widely used today. This hat is very popular as a Warm practical hat, made of thick gray natural wool cloth and original sheep fur. This product does not miss the cold and retains heat you will feel comforta.. This kind of Ushanka hat was used long time since WWII and until now by Naval Officers and it is a part of their uniform today. The advantages of this hat is watertight and "all-weather" qualities. Genuine leather and natural black fur reliable protection against all weather conditions, including ra..
100% GENUINE hat from WWII. Winter hat with ear-flaps of the Red Army (Soviet Army) during World War II. Made of natural wool cloth, trimmed with natural fur and has an insulated lining. Sinking headphones to protect their ears and neck from the cold and wind. Headphones recorded complication-lace. .. 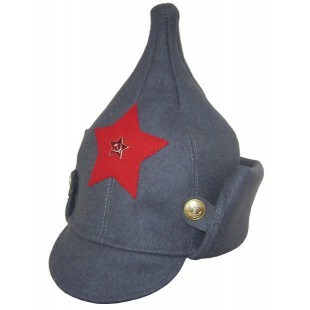 The headdress of Infantry Officers of soviet Red Army was entered into use at 1935. Comes with strap, buttons and a soviet red star badge. .. This visor cap was in use by Border Troops Officers and it is the sample of 1935. Comes with strap, buttons and a soviet red star badge. ..
WWII Soldier's hat Pilotka. Used by Soviet Red Army soldier's. Made from original soviet good quality matherial in green "khaki" color. Сomes with Red star badge. New condition. .. This headdress was entered in use in 1935 for NKVD Officers and applied untill 1953. Comes with strap, buttons and a soviet red star badge. ..
RKKA Commanders Visor cap used from 1939 by Naval Aviation Officers. Comes with strap, buttons and a soviet red star, anchor and wreath ORIGINAL cocarde badge. 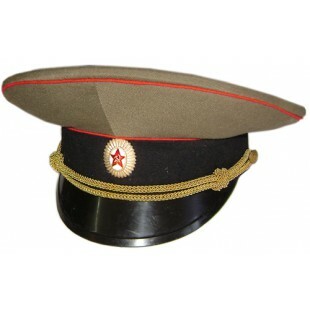 ..
Red army Officer's military visor hat. It was made of genuine black leather at 50th. Very rare and high military quality hat. .. This type of visor cap appeared in the army in 1941, to be worn during the war in the field. A similar headdress worn Stalin , for which the cap was nicknamed " Stalinskiy ". Made of cotton fabric with buttons and cotton strap and comes with a red soviet star. .. 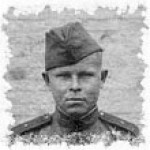 This kind of Ushanka hat was used as RKKA Officer Army headgear during WWII. This hat is very popular as a Warm plush hat, made of white natural sheep fur and genuine dark brown leather. This product does not miss the cold and retains heat. You will feel comfortable and warm under the most severe wi.. 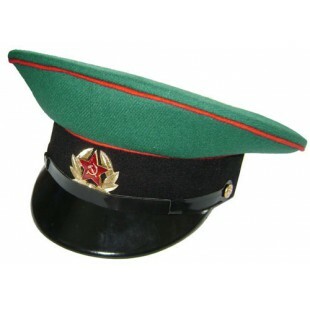 NAVAL visor hat of officer's of the Soviet Union. Hat comes with the officers' badge. New condition. Sample 1969. 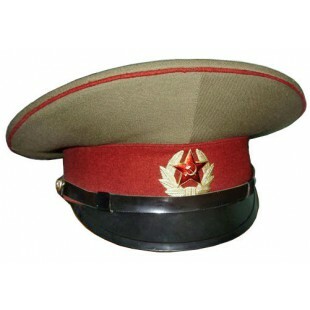 ..
Soviet military visor cap, made for USSR Army Officers of Internal Troops. New and never used, comes with Red Star badge. 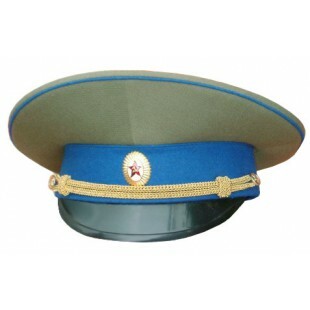 ..
Military parade visor hat of officer's (Committee of State Security) KGB of the Soviet Union. Hat comes with the officers' badge and braid. New condition. Sample 1969. .. 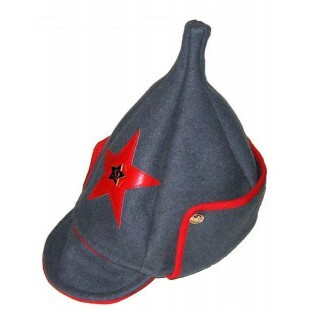 The headdress of Artillery Officers of soviet Red Army was entered into use at 1935. Comes with strap, buttons and a soviet red star badge. .. 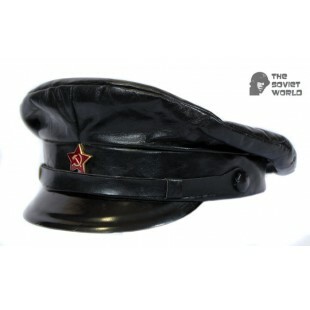 Exclusive genuine leather NKVD type visor hat, which was the favourit hat of NKVD Officers. People called the Officers - Kommisars thats why the hat was called "Komissarka". 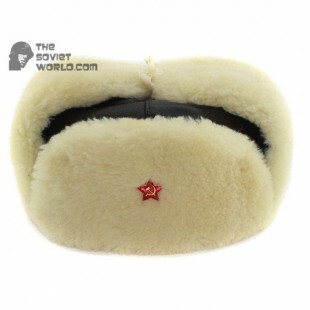 Made from high quality genuine leather and comes with leather strap and soviet red star badge. ..
Military visor hat Air force officer's of the Soviet Union. Hat comes with the officers' badge, a sign of Aviation and braid. New condition. Sample 1969. ..
RKKA Commanders Visor cap used from 1939 by Naval Aviation Officers. Comes with strap, buttons and a soviet red star badge. 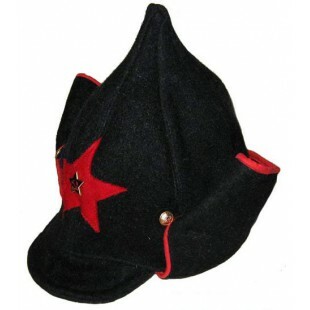 ..
Red Army special sample woolen cloth hat shaped headdress of military RKKA. Was created at 1918 especially for the Red Army as a distinctive uniform. Warm and comfortable winter hat. The cap has a beak and folded earflaps that can be connected under the chin. Made of high quality soviet woolen cloth.. 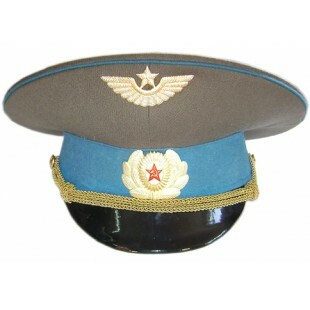 The headdress of Aviation Officers of soviet Red Army was entered into use at 1941. Comes with strap, buttons and a soviet red star badge. .. 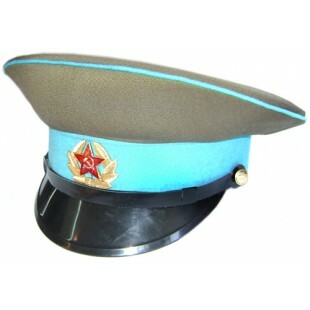 Parade visor cap Air force officers of the Soviet Union. 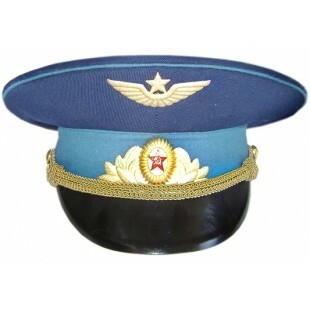 Cap comes with the officers' badge, a sign of Aviation and braid. New condition. Sample 1969. .. The badge (cocarde) is new, used in former Soviet Union by USSR Army Sergeants. ..
USSR Air Force Pilotka hat. Type of WWII, used by Officer's of Soviet Aviation. Made from good quality material in green Khaki color. New, comes with Officer's cocarde badge. .. This boonie hat is very popular among connoisseurs of comfort and military subjects. Made of Soviet genuine high-quality fabric, equipped with braid and is decorated with the red Soviet star. It is well protects the head from the sun, and with metal eyelets it is well ventilated and displays mo.. 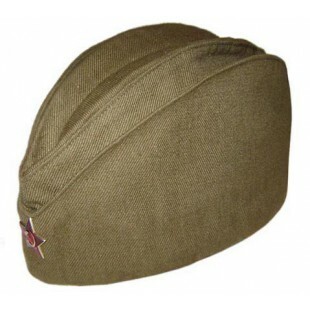 This type of PIlotka hat was used by soviet Officer's in WWII border guards department. Made from good quality material in green Khaki color. New, comes with Officer's cocarde badge. 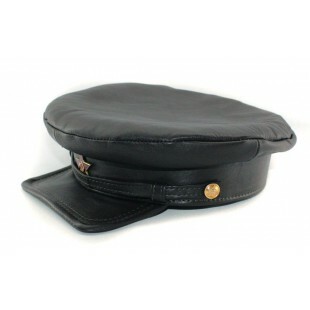 ..
Soviet black pilotka hat. Used by Naval Officers of Russian and Soviet fleet. Comes with Officer's cocarde badge. New condition. 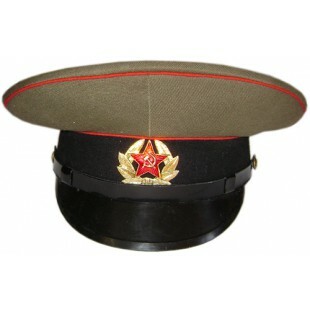 ..
Military (Committee of State Security) KGB visor hat officer's of the Soviet Union. Hat comes with the officers' badge and braid. New condition. Sample 1969. 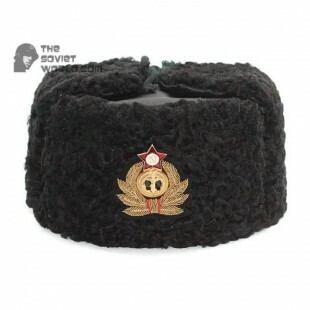 ..
Red Army special sample woolen cloth hat shaped headdress of military RKKA. Was created at 1918 especially for the Red Army as a distinctive uniform. Warm and comfortable winter hat. Made of high quality soviet woolen cloth and comes with Red Star badge. ..
Red Star badge with sickle and hammer. The badge (cocarde) is new, used in former Soviet Union by USSR Army Soldiers. The badge is new. 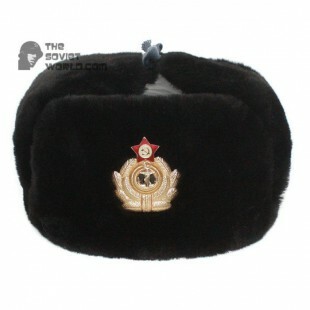 ..
Ushanka hat was used as USSR Army headgear for many years and it is still widely used today. This hat is very popular as a Warm practical hat, made of thick natural wool cloth and original sheep fur. 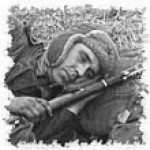 This product does not miss the cold and retains heat you will feel comfortable and warm under the mo..
Military visor hat Artilery and Tank troops officer's of the Soviet Union. Hat comes with the officers' badge and braid. New condition. Sample 1969. .. 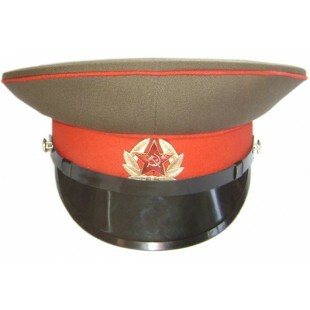 PARADE NAVAL visor hat of officer's of the Russian Federation. Hat comes with the officers' badge. New condition. 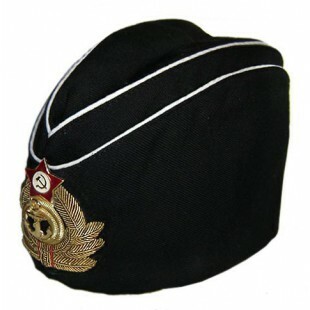 ..
Russian Naval black KGB Border Guards visorless Hat was approved for navy sailors at 1921. Sign on the band: "Navy Armies of KGB Border Guards" Comes with Soviet cocarde badge! New condition. .. 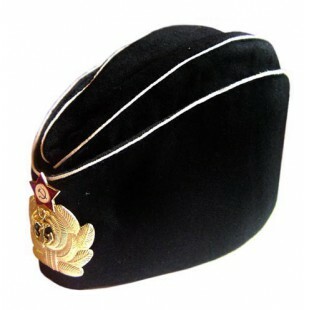 NAVAL visor hat of officer's of the Russian Federation. Hat comes with the officers' badge. New condition. ..
Visor cap Infantry forces sergeant's of the Soviet Union. Cap comes with the badge, and braid. New condition. Sample 1969. ..
Visor cap Artilery and Tank forces sergeant's of the Soviet Union. Cap comes with the badge, and braid. New condition. Sample 1969. ..
WWII Soviet army Pilotka hat with red pipping. In the Red Army officially launched January 16, 1919 as a headdress cadets of military courses but after 1935 used by Officer's of Red Army. Made from good quality material in green Khaki color. New, comes with Officer's cocarde badge. .. 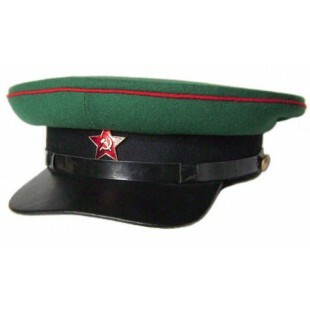 These berets are used by Special Units of Interior Ministry Troops (MVD). The Maroon beret is a sign of skill and handed fighter only after he received special training of elite MVD Spetsnaz units and proved his right to wear It. Made from maroon sloth and comes with Soviet badge. ..
Marshalls and Generals hat badge with Red Star. 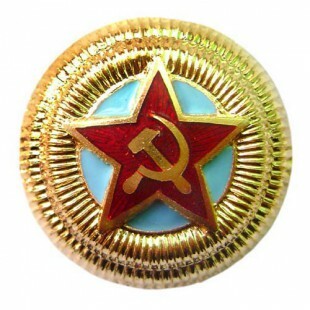 Original metal badge, used by Soviet Air Force Marshalls and Generals on the hats. .. Combined Military casual Cocarde badge in the USSR Armed Forces. ..
Red Star badge with sickle and hammer. The badge (cocarde) is new, used in former Soviet Union by USSR Army Soldiers on PILOTKA, USHANKA hats. The badge is new. ..
WWII Officer's hat Pilotka with dark blue pipping. 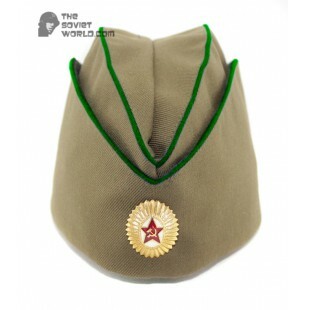 Used by Officer's of department of the State Security Committee "KGB".Made from good quality material in green Khaki color. New, comes with Officer's cocarde badge. .. 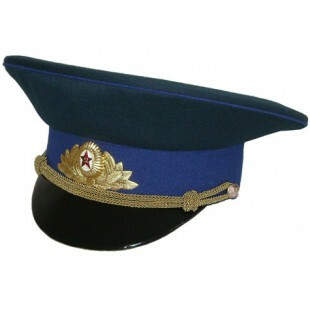 PARADE NAVAL visor hat of officer's of the Soviet Union. Hat comes with the officers' badge. New condition. Sample 1969. 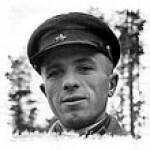 ..
Russian Naval white KGB Border Guards visorless Hat was approved for navy sailors at 1921. Sign on the band: "Navy Armies of KGB Border Guards" Comes with Soviet cocarde badge! New condition. ..
Casual headgear of Soviet Army soldiers and officers. Was used during execution of military operations in Afghanistan. 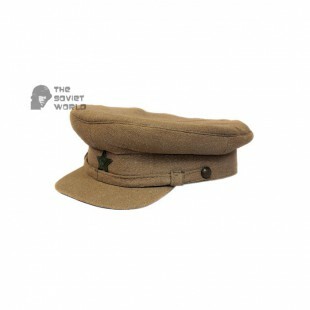 Cap flight model is made of solid color fabric "khaki" and decorated with a Soviet red star. This cap with a visor is very comfortable and has a good protection from the sun. ..
Soviet Admiral's hat pilotka worn in USSR byAdmirals of Russian Naval Fleet. Comes with hand-embroidered Admirale's cocarde badge. New condition. ..
Soviet Army special military visor hat. Made for Soviet Frontier Guards. New condition, comes with badge. .. 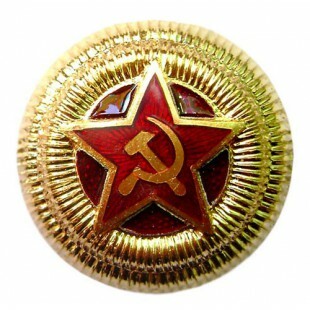 Original Soviet metal hat badge with Red Star. Used by Red Army Marshalls and Generals on the hats. .. The badge (cocarde) is new, used in former Soviet Union by General's ..
WWII USSR military summer hat Pilotka used by soviet officers of Ministry of Internal Affairs (MVD). Made from good quality material in green Khaki color. New, comes with Officer's cocarde badge. ..
Soviet Navy winter Admiral Ushanka hat is made from original leather and high quality Astrakhan fur for highest military rank. Used by Admirals of USSR Naval Fleet in winter. This product does not miss the cold and retains heat you will feel comfortable and warm under the most severe winters. You ca..
Visor cap Air force sergeant's of the Soviet Union. Cap comes with the badge, and braid. New condition. Sample 1969. .. This hat is very popular among connoisseurs of comfort and military subjects. Made of Soviet genuine high-quality fabric, equipped with special mask and is decorated with the red Soviet star. It is well protects the head from the sun and sand storm. ..
USSR special hat badge, used by Marines Officers of Soviet Army. New condition. .. 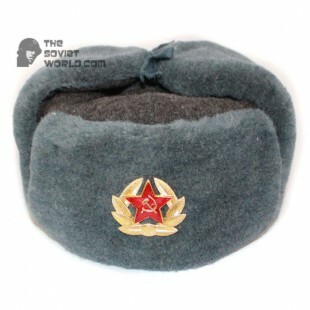 This Beret is the uniform of Soviet naval forces. Also was used by tank troops in Soviet period. This headgear is made from black sloth and comes with Soviet badge. .. This type of Cocarde was specially designed for the Soviet Naval ship and ship-engineer service Officers. .. Handmade cocarde badge made with 0,3% gold thread. Used in Soviet Fleet by command stuff of Naval Admiral's in casual dress. ..
Soviet soldier M69 INFANTRY military uniform. Like new condition, never used USSR soldier uniform. Consists of: jacket with shoulder boards, patch, medal "25 year of victory" and trousers. Other items are optional (additional). Soviet Army military uniform - gimnasterka (jacket) with shoulder boards. The gimnasterka used by Soviet officers in 1940s. Soviet Red Army RKKA WWII military uniform. New condition, never used. The uniform consists of jacket with shoulder boards and pants. Please choose additional items below.